NECKLACE - SARAH COVENTRY. "MOST PRECIOUS" FROM THE 1962 "TWIX & TWEEN" GIRL'S/TEENAGER'S LINE. 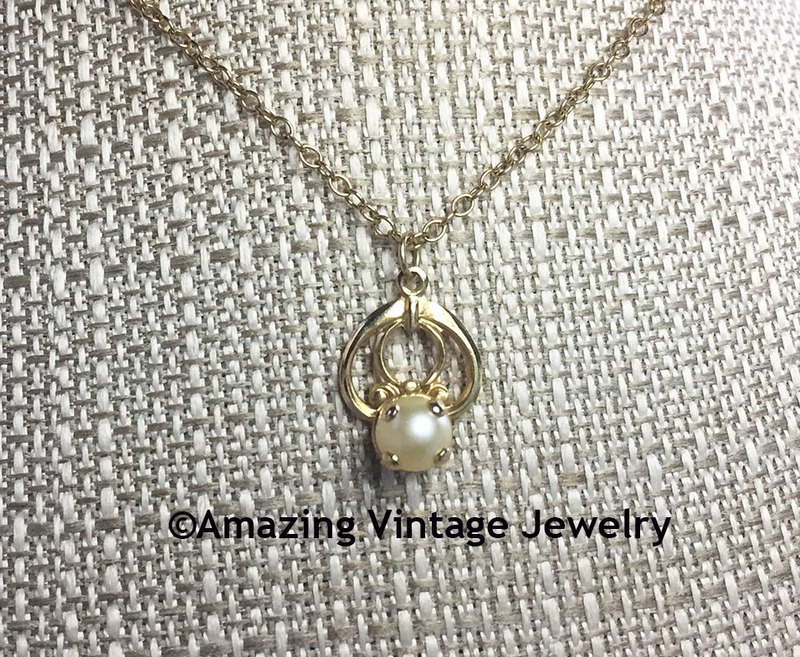 DAINTY GOLDTONE PENDANT WITH SMALL FAUX PEARL. 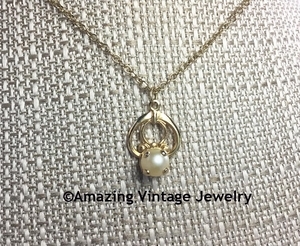 PENDANT IS ABOUT 5/8". CHAIN IS 14" LONG. VERY GOOD CONDITION.